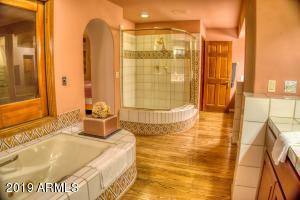 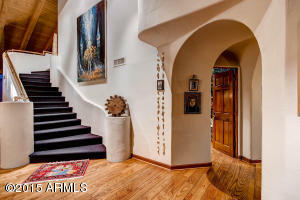 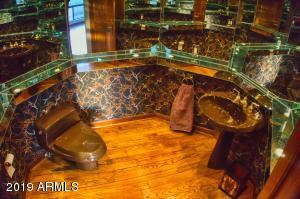 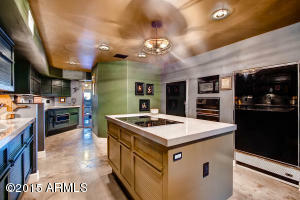 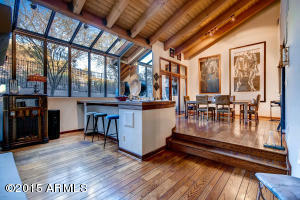 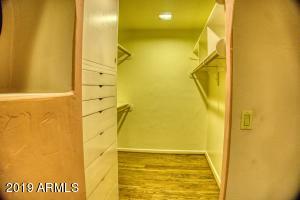 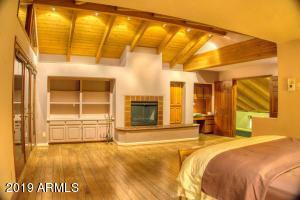 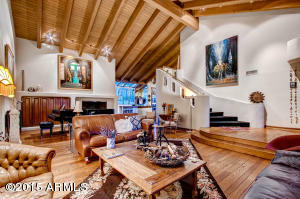 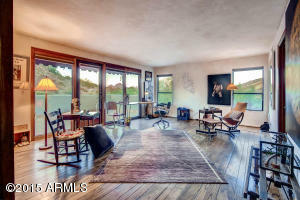 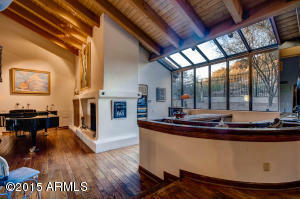 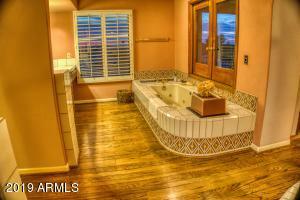 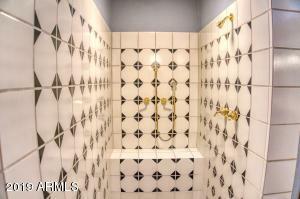 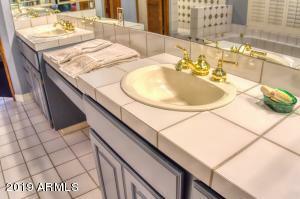 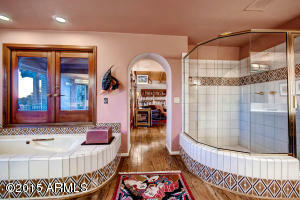 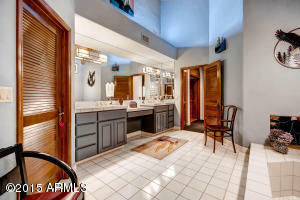 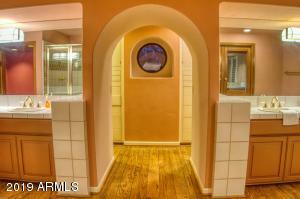 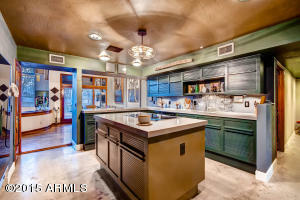 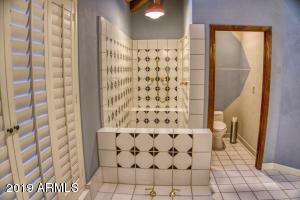 Rarely do homes like this come on the market. 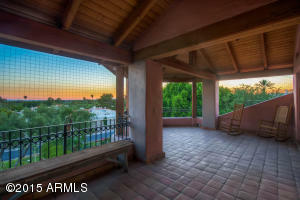 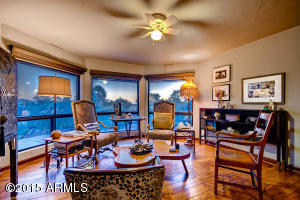 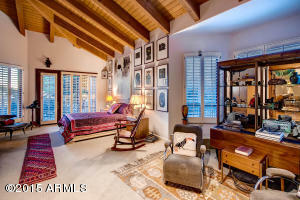 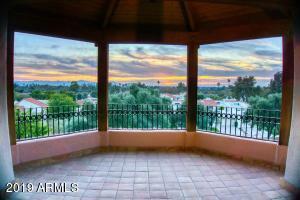 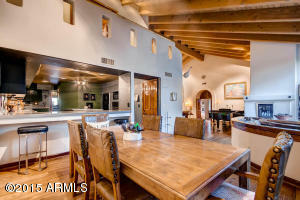 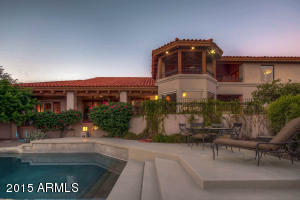 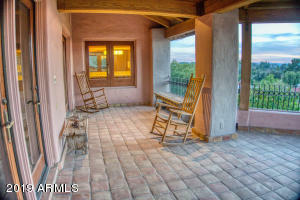 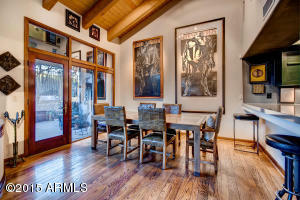 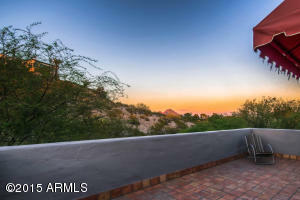 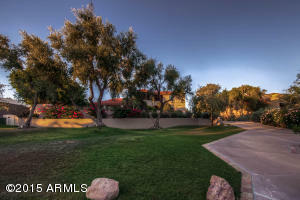 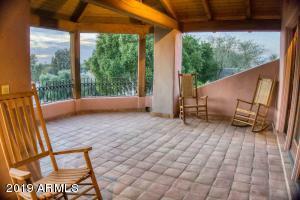 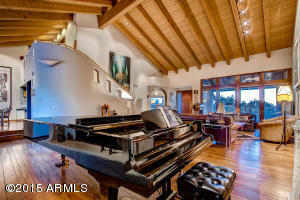 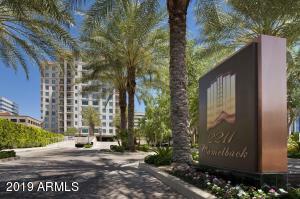 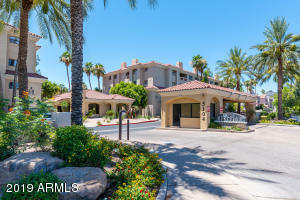 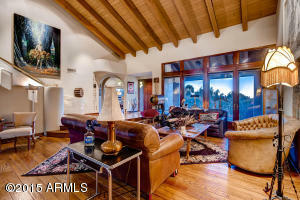 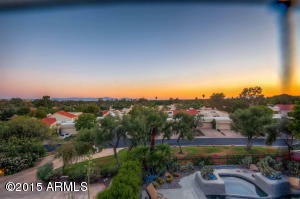 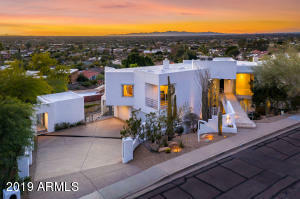 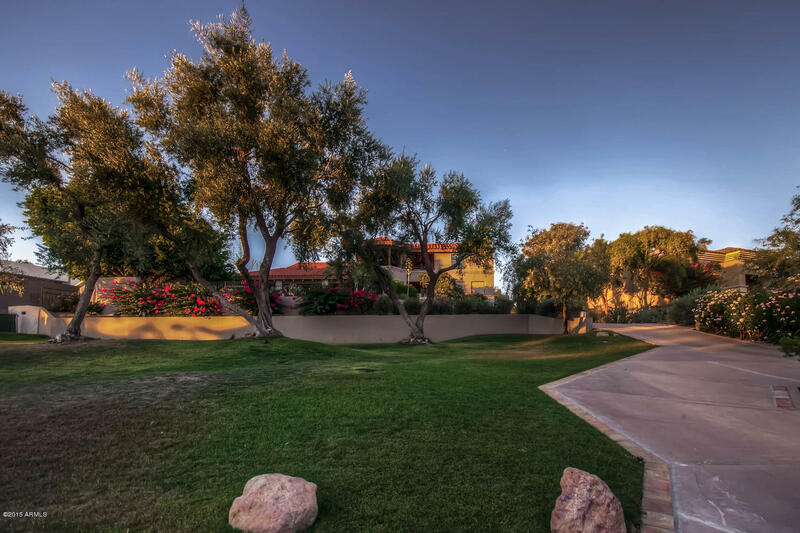 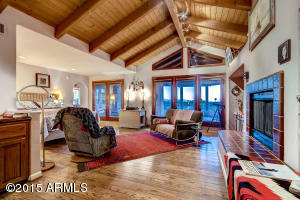 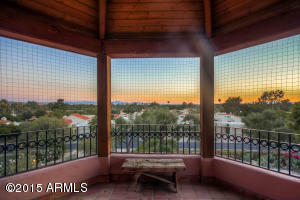 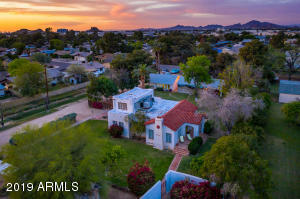 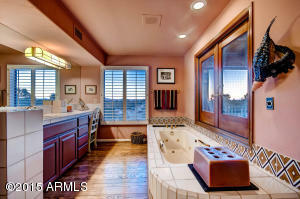 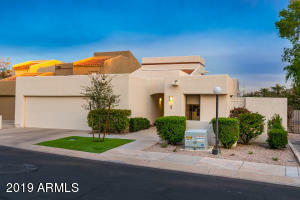 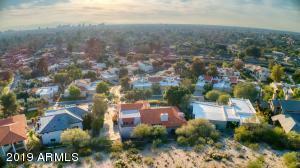 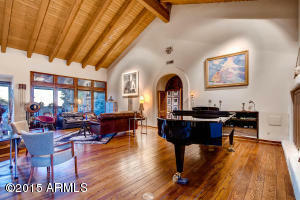 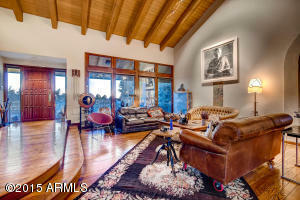 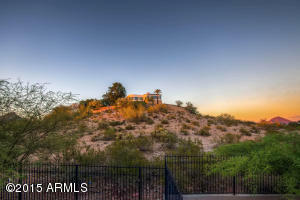 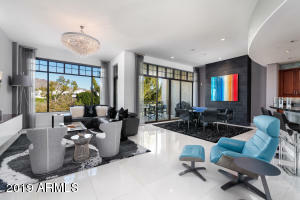 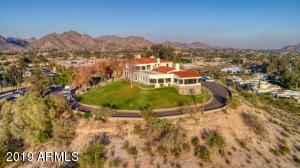 Here is your chance to live in one of Arizona's finest communities and in a home that exudes quality and endless charm. 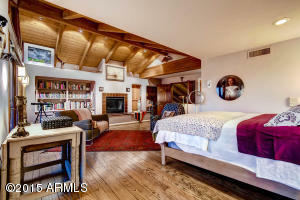 Perched on a mountain just under the old Wrigley Manson you'll find this home with towering plank/ beam ceilings in most rooms. 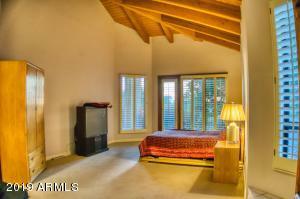 Two master suites one up and one ground floor. 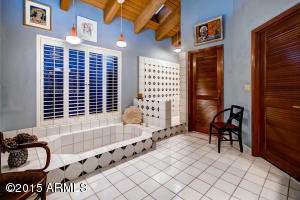 All bed rooms are en suites, two up and two down. 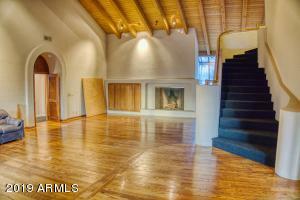 Wood floors through out. 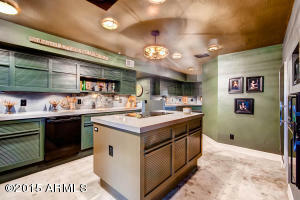 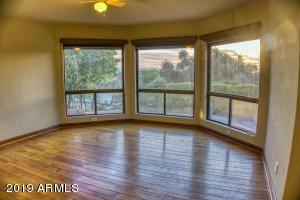 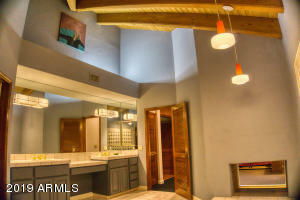 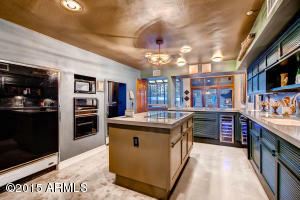 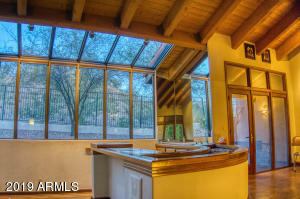 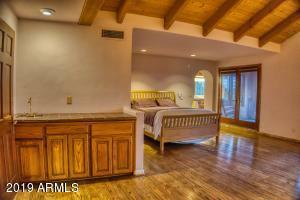 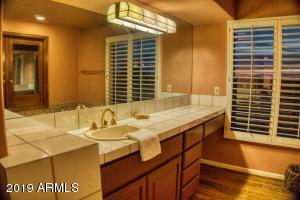 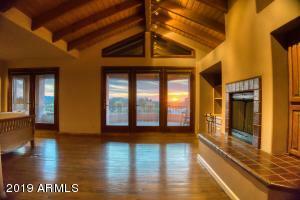 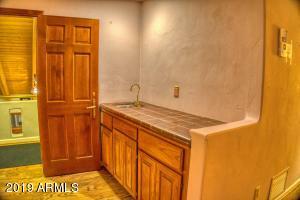 Kitchen recently remodeled, Guest bedroom has 2 way fireplace, sitting room, high wood ceilings, sunset views abound. 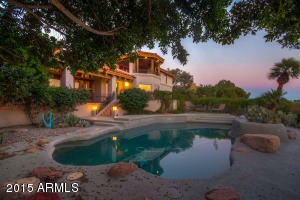 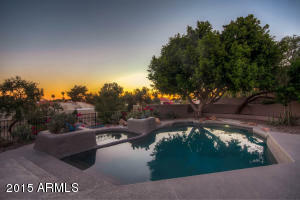 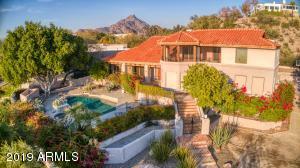 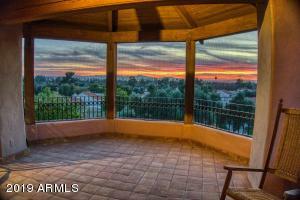 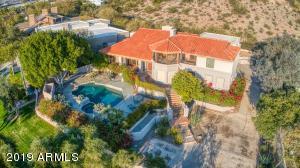 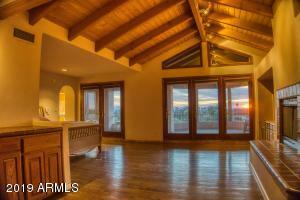 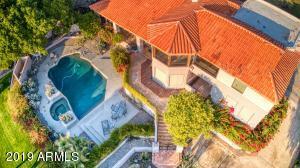 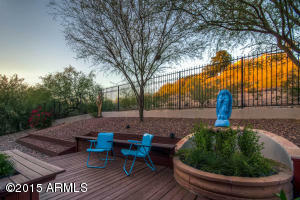 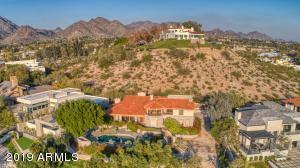 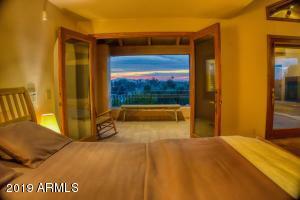 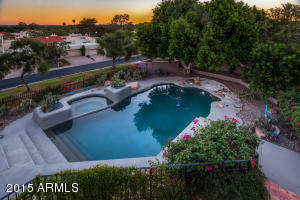 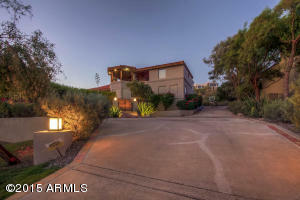 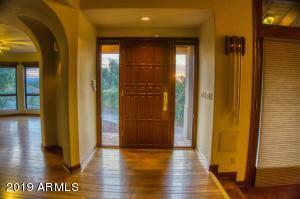 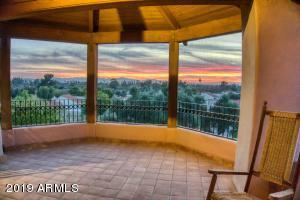 Front of home over looks the pool and spa with incredible views of downtown and sunsets. 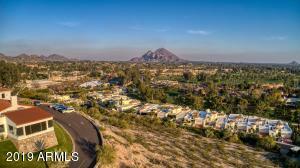 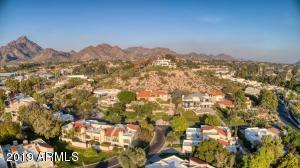 Only eight homes on these estate size lots. 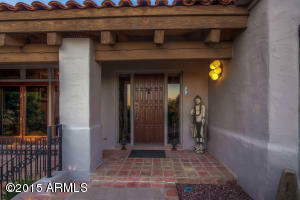 24 hour gate guard.